This year for Valentine’s Day surprise your special someone with a homemade gift that will satisfy their sweet tooth by baking them Brownie Heart Bites. This simple dessert is perfect for Valentine’s Day does not take long to make. Grease a square baking pan, the Rada Cutlery Square Baker also works extremely well for these brownies. In a large bowl mix the melted butter, sugar and vanilla together. Next in a separate bowl combine the flour, cocoa, baking powder and salt. Gradually add this to the egg mixture. Add the nuts if you want. Use the Cook’s Spoon to make this process as simple as possible. Now pour the mixture evenly into the baking pan. Bake for 20-25 minutes or until the brownies begin to pull away from the pan’s sides. Allow the brownies to cool a bit, then take the heart shaped cookie cutter and cut out hearts. Serve and enjoy! 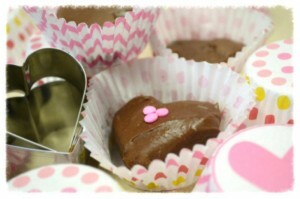 We served our Brownie Bite Hearts in Valentine’s Day cupcake holders. You can also frost your brownies with a homemade frosting. This easy frosting recipe is easy to do and can be made while the brownies are baking with three simple steps. Combine the butter, cocoa, corn syrup and vanilla until creamy. Add the confectioners’ sugar and milk. Beat to spreading consistency. You can use food color to add color to the frosting as well. The Super Spreader is perfect for evenly spreading frosting. 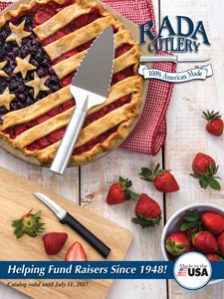 For more dessert ideas for Valentine’s Day check out our Strawberry Pizza. 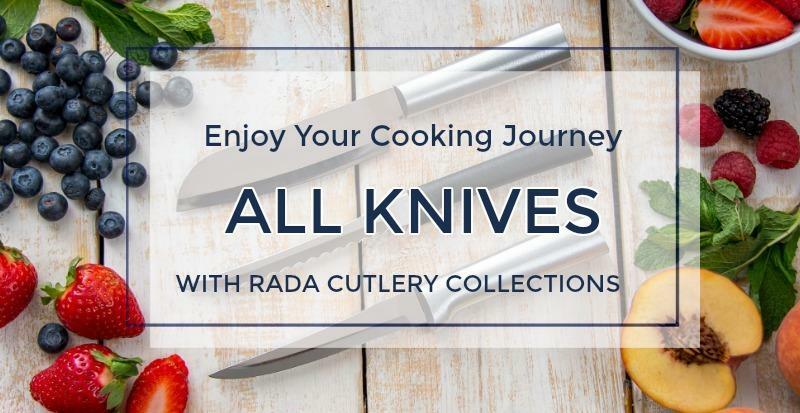 If you are interested in purchasing any of the kitchen products mentioned in this post visit the Rada Cutlery Kitchen Store. 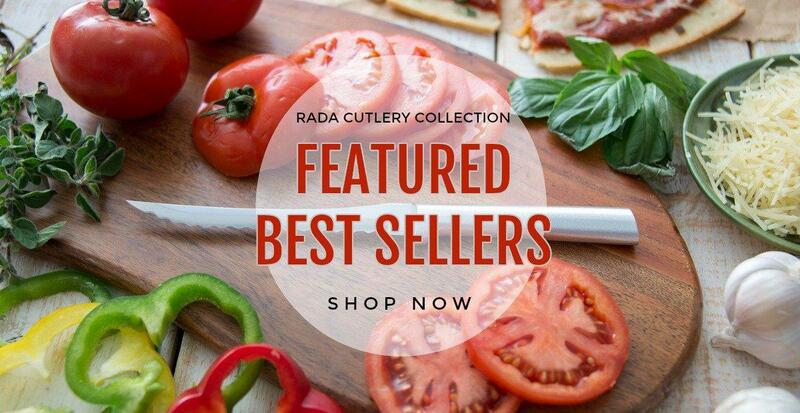 All the products that are manufactured by Rada Cutlery are 100% Made in the USA in Waverly, Iowa. 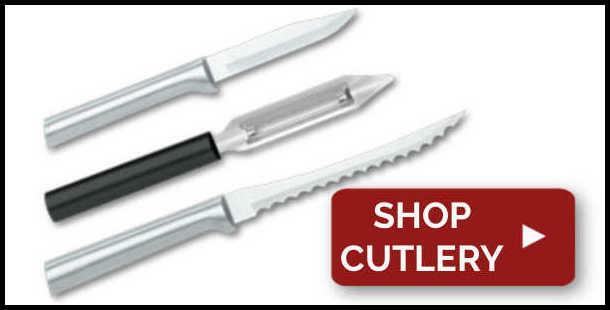 Rada Cutlery also helps thousands of groups fundraise annually. 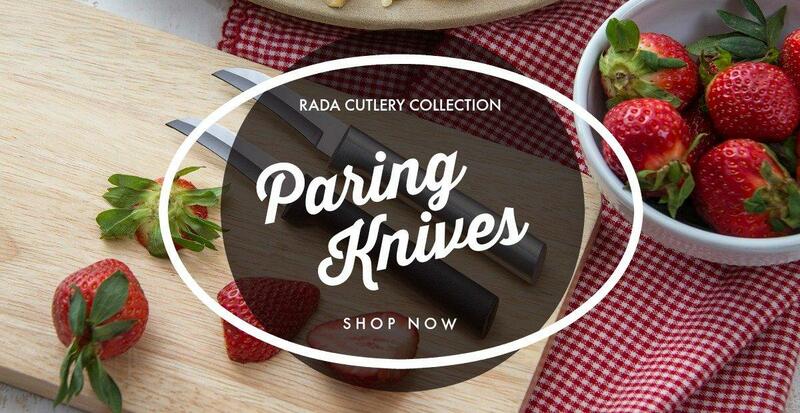 Fundraise Successfully with Rada Cutlery! 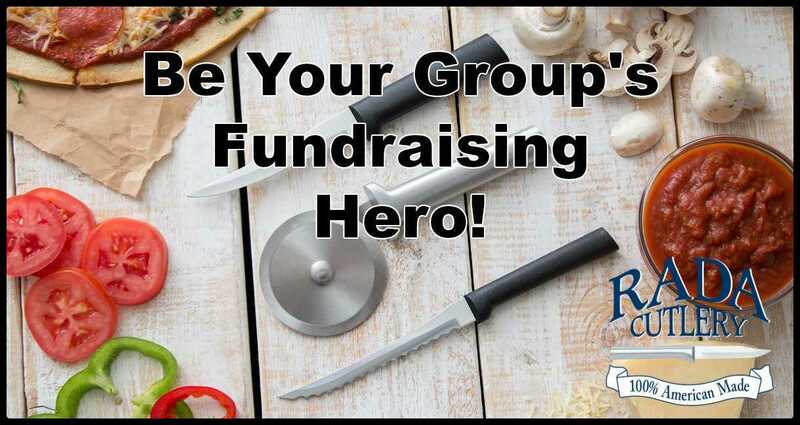 Rada Cutlery is the perfect way to raise the funds your group needs! 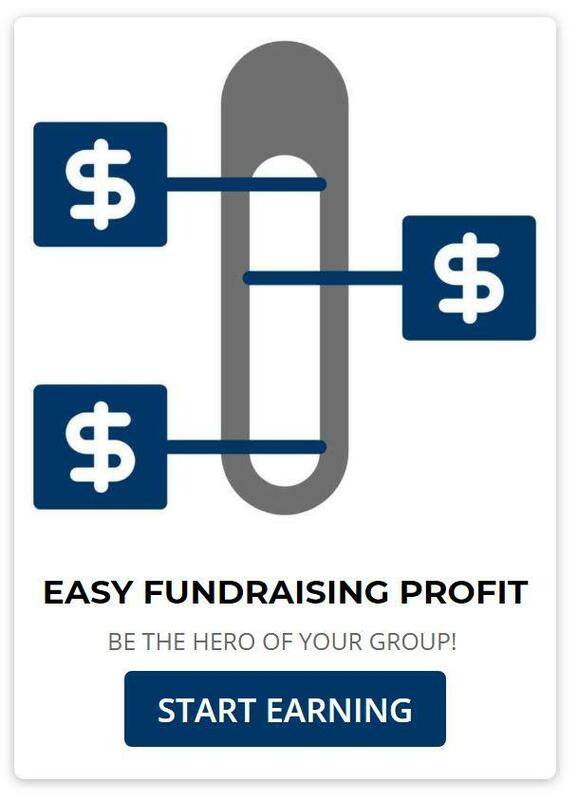 Every year, tens of thousands of groups partner with Rada to raise money for great causes. 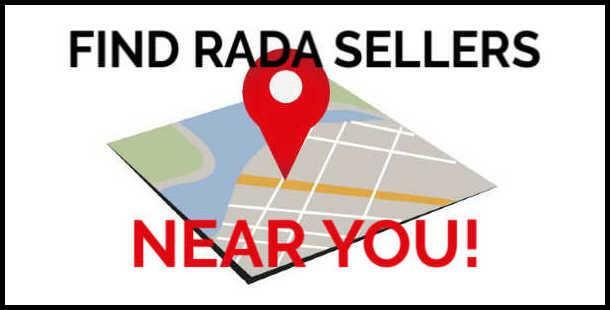 Churches, schools, clubs, sports teams, civic organizations, and more make the money they need with a Rada fundraiser. 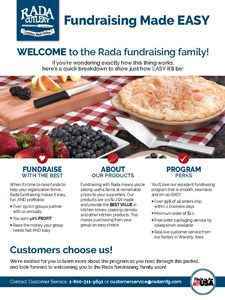 The Rada Fundraising Catalog is available online!